Pistoff Kristoff Cigars - Buy Premium Cigars Online From 2 Guys Cigars . 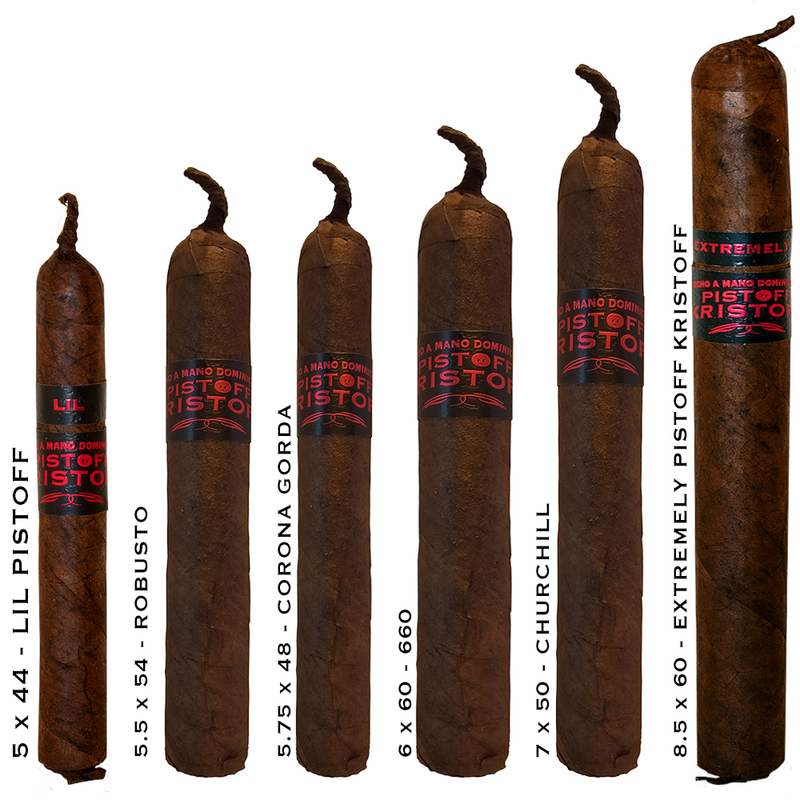 This offering from Kristoff got its name from the suggestion of a customer who suggested the company come out with a cigar called Pissed Off Kristoff. Brand owner Glen Case loved the sound of the name but decided to change the spelling to create Pistoff Kristoff. The cigar, despite its dark appearance utilizes a natural San Andres wrapper over a binder from Indonesia. The cigar is rounded out with Nicaraguan fillers creating a cigar loaded with flavor that is incredibly smooth.